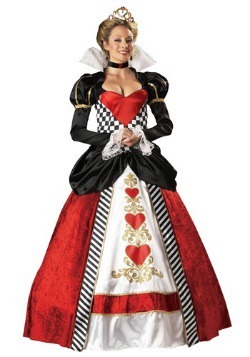 Take a look at this amazing Deluxe Queen of Hearts Costume! It’s about as elegant as clothing gets. 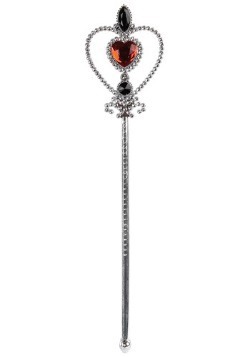 It is without a doubt made for a queen. 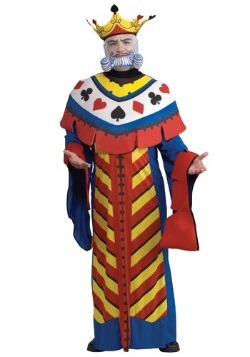 Only someone that holds such a royal status could don such amazing apparel. 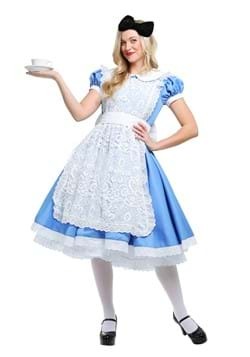 However, you can get away with it this Halloween when you add this costume to your cart. 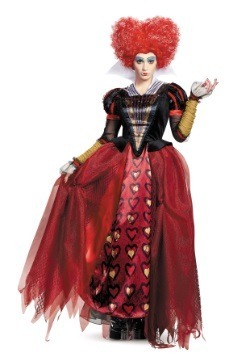 You’ll get to enjoy looking just as ravishing as the Queen of Hearts without having to deal with the headache of ruling over Wonderland. Sounds like a win-win to us! 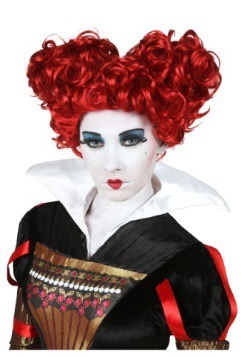 The center front tricot insert panel is striped and decorated with lace and red hearts. The gold brocade skirt has an elastic waist as well as a built-in tulle petticoat and an attached black lace train. The velvet choker has a lace edging and red heart faux gem pendants. The crown has elastic loops to pin to your hair or slide over a headband (not included). 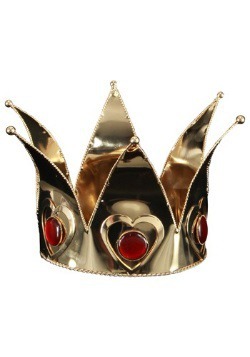 The crown is ornamented with a gold edging and red faux gems. The red velvet corset has a back zipper, a constructed bust with a boning and underwire support. The velvet peplum is edged with black and gold lace. Small - $159.99 Only 5 left! Medium - $159.99 Only 4 left! Large - $159.99 Only 6 left!